Everyone is different. Beautiful. Uniquely built. Everyone has their own way of doing things, their own rhythm, their own breath. Independent. Here is a practice that not only reminds us of that – but celebrates it. For me, as a teacher, libra, perfectionist, artist – there are two aspects of this notion that when considered together invite and allow freedom. Two sides of the coin baby. On one side I encourage you (practically demand you!) to BE YOURSELF. Be your true authentic awesome self! Seriously, what can be better that being you? Rock it and wave it proud! On this side I invite you to find what feels good as a way to really explore your body- not the body of the person next to you- but your dang body – your vessel, your sensations, your titillations, your struggles. 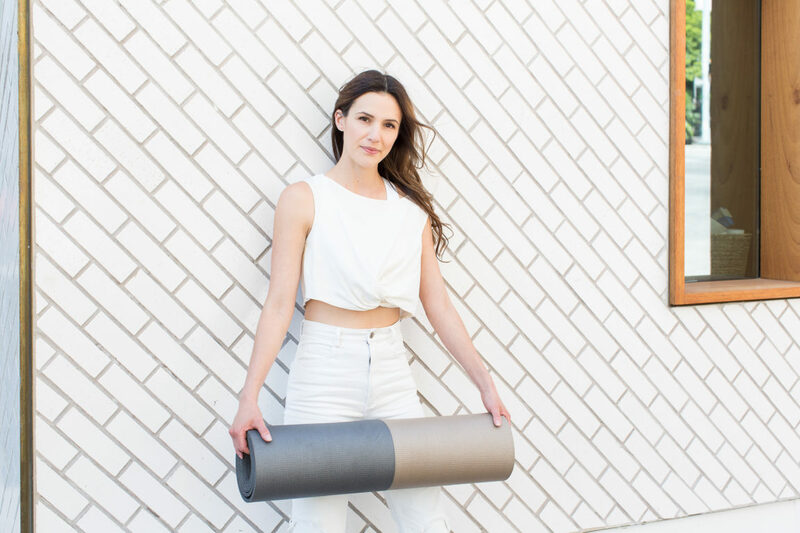 Through yoga practice I believe we can strip away at the blocks, the burdens and toxic thoughts and begin to really get to know how we feel, who we are and how we can live as the best versions of ourselves. On the other side I feel it is important for us to take those same principles of self discovery and apply that to learning the form and educating yourself. Vowing to always be a student of life- an avid learner- and starting with (not completely forgetting!) the self. Work from the inside out. I often find that in order to be free we also must educate ourself and learn the form. In order to break the rules- we must learn the rules, right? This allows us to trust ourselves, our intuition and to feel confident. Also, in Yoga it keeps us safe. The good kind of safe. Only by learning and digesting the form can we be free. I feel like this applies to almost everything that I do. Only by doing all of my research and learning my way can I relax, listen and enjoy my craft or my practice. Also, the keyword is, and will always be, practice. For me these two things move together. Like the sun and moon. Yin and yang. Two peas in a pod? When I take the time to plant my feet strong, mindfully and allow my body to stack up in my alignment then I am able to feel supportive and comfortable enough to EXPLORE and find that unique self expression. Yes, permission to be yourself! (Goodbye depression!) Only through that exploration will I ever find what I am looking for… that sweet sweet freedom. Here we have an opportunity to look away from the screen and just let it flow. Break the rules, fall behind, speed up, get your groove on Stella. Get it. Use this practice or pick one pose from this practice to learn and practice a strong foundation. Once you have your foundation- take a deep breath and surprise yourself- even micro movements of self expression can be milestones. Practice. Apply. Repeat. Let it Ring! Be Safe. Have Fun. Be Free. In the beautiful lawn of the beautiful Trapiche Winery in Mendoza, Argentina. Your videos are helping me keep my sanity during the bar exam. Thanks!!! Are there any sun salutation videos?? If not I would love one! Love the music, who is the artist? I am addicted to your videos, thanks, hope to see more soon. Namaste!!! These videos are perfection. It gives me a chance to relax and take some time for myself during the busy week. It’s really helped with my piece of mind as well as my flexibility and over all well-being. Thank you so much. Namaste! This is my go-to yoga video. Love it. Thanks Adriene! I love your videos! I teach Yoga in Buenos Aires, Argentina; your practice inspire me and always makes me very happy. Thank you so much! My 5 year old joined me while I was doing this video today. She declared it to be awesome and I have to say I agree. i love your humor and You, present on your mat! Thanks for the free videos….i decided to go”free” on my journey on yoga and I was bound to meet you- via the Internet! thanks for being such a real person and i love this freedom Flow! Hi Adriene!! So, I’m fifteen and I’ve just recently gotten back into yoga in hopes of improving myself and finding my “inner me”. I’ve come to notice that I may possibly have narcissistic personality disorder, maybe not the actual thing because I’m not a doctor and I can’t diagnose myself with it, but I show signs. So instead of consulting a doctor (since it may not be that serious) I figured I could give yoga a try. I wasn’t sure if this would help much but I’m on here hoping to notice a positive change in myself and my life. And I also have trouble dealing with a lot of stress, so yoga has been a great refuge for me. I just wanted to say, thank you for being a great yoga instructor. You honestly are very inspiring and helpful to me and I hope I get to meet you one day! i loved this video. I’m feeling the freedom after that . Thanks so much! Keep them coming I feel amazing!! I love this video and also the lower back one. I’d like to do them both – one after the other. Does it matter which one I do first? this is still my favorite routine!! its my go to when I’m feeling sluggish- it gets me energized and feeling good! I’m so happy I found your videos! Especially this one. I’m recovering from injuring my shoulder at a vinyasa class and the freedom flow is perfect for loosening up my tight shoulders. Also, at 15 minutes, I can fit it into my crazy working mom schedule. THANK YOU! Can’t wait to try FF2. i am really enjoying your Yoga videos. Trying them all out is so much fun, and I do return to the ones I know. Freedom flow is especially good, as i have been looking for a video to help me with arm movements following,my breast cancer treatment last year. So this one I can now practice over and over, Whenever I want to practice my Yoga you win every time #yogawithadriene. Keep being awesome… Namaste. I must say I am loving your videos and found you by chance, so grateful! Thank you for sharing your practice and style! I just enjoyed the heck out of this video. Thank you! I am just getting back in to yoga. I love this routine. It moves my whole body, and it is easy to follow. I also love that it is only 15 min, so I can always find time to if it in to my day. I enjoyed this video and appreciated the shoulder stretches combined with the warrior pose, sooooo good! Fantastic practise.. Day 4 of Reboot 🙂 …. Why do I now crave watermelon !!!! Love your videos , disappointed that the Vinyasa sequences are no longer available either here or on u tube? What are all your yoga pants called? They look so supportive. Can you give me some ideas of where I can find them Love the leggings with all the seams on them. Did this today to prepare for a massage to work on my stiff upper back and shoulder. Post some videos of you doing yoga with three little kids “helping” you! I would relate more 😉 No, this was awesome. It *all* felt good! Adrienne you are like a breath of fresh air always. Liberty of your workouts….love your brand of yoga. Another amazing video. I have been doing your videos daily while on a leave from work. They have been a huge part of my healing process. Thanks so much. You are amazing. What a sweet spirit you have. Thank you for sharing your videos. great way to end the week and start the weekend – big hugs and lots of love to all my yoga peeps – namaste. ~beth ps. just LOVE the way you live and love life Adriene. Thank you!! you’re amazing as usual!! and I know this is an oldie! Totally fabulous flow! i will be returning to this one for sure.